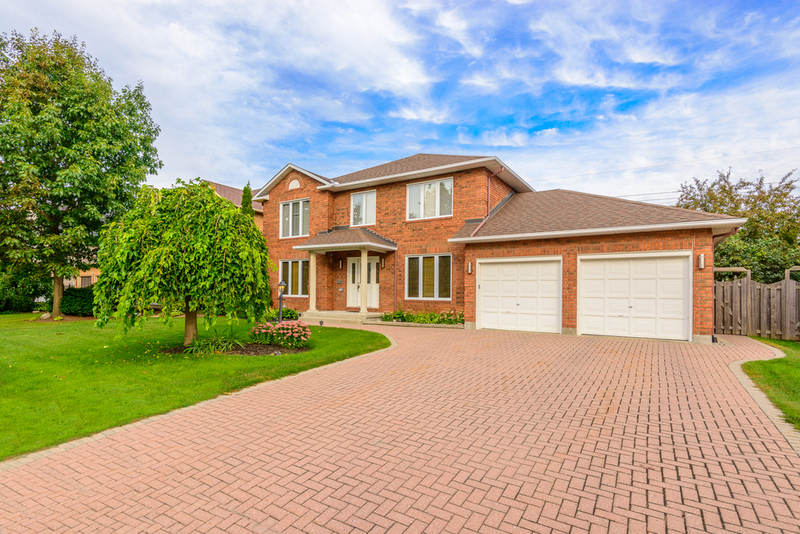 There are many reasons why homeowners choose to upgrade their driveways. Often times are due to a new vehicle like RV or large van that barely fits in an older driveway. Another reason could be the slope is adequate enough for your new sports car. I know the situation, bought a car and had it lowered but then my driveway was impossible to go up without scratching the bottom of the vehicle. It does not matter the reasoning for your driveway remodeling or widening, however, it matters who does the driveway remodeling and if it makes financial sense. Novel Remodeling and our hardscaping contractor offers free estimate for driveway repairs, remodeling and design. We build custom driveways that homeowners can park large recreational vehicles, sports cars, smaller cars, and large scale trucks in Los Angeles County. We noticed several homeowners upgrading their driveways by pulling permits and increasing the width to fit a large vehicle. This is a great way to add value since some homeowners have RV, and ATV which are often stored in the driveway. Hillside driveways have it worse for homeowners. Those that live in the hillside of Los Angeles often scrape the bottom of their cars each and every time they get in and out of the driveway. Our driveway contractors can help you protect your cars by redoing the slope to ensure you do not scrap the bottom of your car again. Our licensed contractor will pull the right permits, redo the area properly and even expand so you can park more than a single car. We ensure your driveway slope is correct and your vehicle is scrape free. Own a recreational vehicle that does not fit in your driveway is challenging. Imagine driving your RV up a steep hillside and you can barely fit, something must be done. In Los Angeles, Novel Remodeling and our team of contractors offer free estimate for homes with narrow driveways. Narrow driveways were built with old standards making it legal, however, today its far different. Recreational Vehicles known as RV are common place since many Los Angeles homeowners travel frequently. Spending a few days Beachside in the comfort of your own RV is a luxury the few can only do. Imagine not being able to park your RV on your own driveway. Schedule a free estimate for your driveway widening today. Novel Remodeling and our contractors are here to help you select the best driveway design to match your home. Whether your looking for traditional, simple, or complex, we have a design team in place to help you select the right driveway for your home.